I suffer from accomplishment guilt - or perhaps better said - lack of accomplishment guilt. I feel bad if I do not get enough done. Some of this is good - it can drive great things. It helps my self discipline. It helps my productivity and efficiency since I know I need to be efficient to accomplish things. Part of it is bad - it can lead to feeling unsettled and stressed. One of my favourite sayings is "people tend to over estimate what they can accomplish in a day and underestimate what they can accomplish in a decade". I have seen this to be true. One way to be more zen or at peace is to list your blessing. And list what has been accomplished (as opposed to listing what has not been which I often seem to do. For serious stats driven chess geeks - I found this article interesting. One of the things I love about Canada is the weather. 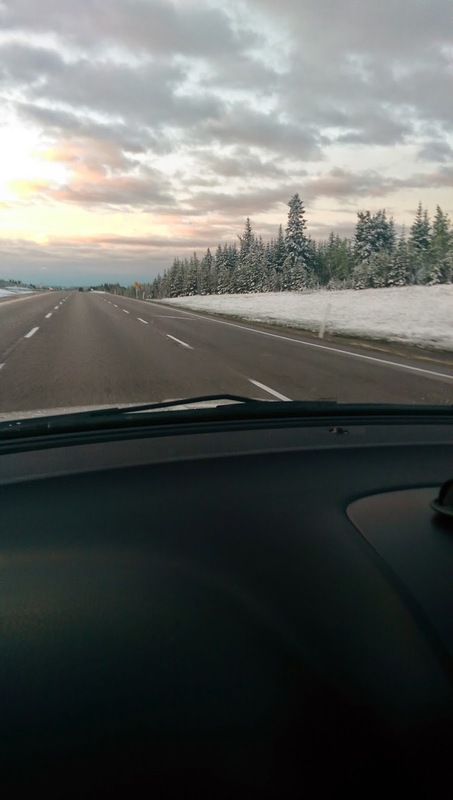 I took this today driving to the Calgary airport from Canmore. Yes - that is snow. And the northern latitude means it is light late and early. This was taken about 5:30 AM. Great post. I like the concept of "accomplishment guilt" it develops a momentum that tends to drive the future sometimes losing sight of the past. Resonating with listing your blessing I like to re-trace what I've done when I'm off-kilter so that I can find my center to focused when building a grounded path for the future. Chris Hadfield - Canadian Astronaut.